Summer weddings on Cape Cod are sure to be pricier than their off-season counterparts. However, there are some steps that couples can take to avoid going too far over budget. Here are some tips on how to stay on track with your spending when planning your summer wedding on Cape Cod! 1. Book well in advance. If you try to get last minute bookings for anything (hotels, reception sites, rehearsal dinners) you will more than likely end up paying much more than you had wanted (or you won't be able to get in at all). If you are getting married in the summer on Cape Cod, a good rule of thumb is to book at least one year in advance. 2. Take advantage of discounts. While discounts may not abound for certain items, there are aspects of your wedding that can be priced down. One good way to get a discount is to work with a local liquor store. Liquor stores will usually offer discounts on cases of alcohol and they may even be able to sell you slightly damaged goods for a lower price. 3. Hold your wedding on a week day. Weekends are always the busiest time on Cape Cod and even in the hectic-paced summer, weekdays are still a better bet for finding good prices on hotels, venues, and other services. In the summer, more people tend to have weekdays off (or the ability to ask for them off), so it isn't as much of an imposition as it would be for an off-season wedding when kids are back in school. Also, since there are fewer weekend warriors around, there will be less traffic, so guests will have an easier time getting around (especially good for those not familiar with the area). Another plus to a weekday ceremony is that restaurants (either for your reception or rehearsal dinner) will be easier to book. While most places do a booming business on Fridays and Saturdays, Mondays through Wednesdays tend to be a bit quieter, so businesses can be more accommodating to your needs. 4. 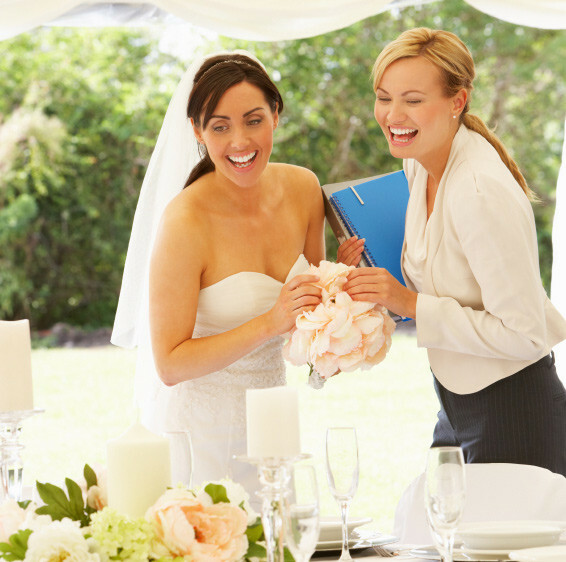 Consider hiring a wedding planner. While initially, a wedding planner may seem like an extra expense, wedding planners tend to be able to take advantage of discounts not available to everyone else. This is because they tend to have connections with vendors and the discounts they get, they will pass on to you. 5. Go with in-season flowers. This is a bit easier in the summer than in other seasons. Your florist can help you identify which flowers will best fit your budget. Some reasonably priced flowers include gerbera daisies, snapdragon, sunflowers, alstroemeria, lilies, allium, and freesia. 6. Have alterations made to a family dress. This way, you can still have a dress that is uniquely yours without the cost of a new wedding dress. 7. Don't splurge on the wedding favors. Your guests will have a great time at your wedding, so don't feel the need to give out over-elaborate wedding favors. Some ways to save include making the favors yourself or giving out inexpensive summer themed favors (sunglasses from the Dollar Store, for example). 9. Don't have a huge wedding. This is common sense when planning a wedding - if you want to keep costs down, keep your guest list slim. This can be really hard if you or your fiance has an extensive family whom they are close with or if you have a large group of friends, but if you are concerned about your budget, make an honest effort! Fewer people means lower catering costs, lower costs for your reception site, and less to worry about in general. Follow these tips to the best of your ability and your wedding shouldn't be one that gives you headaches for years to come!